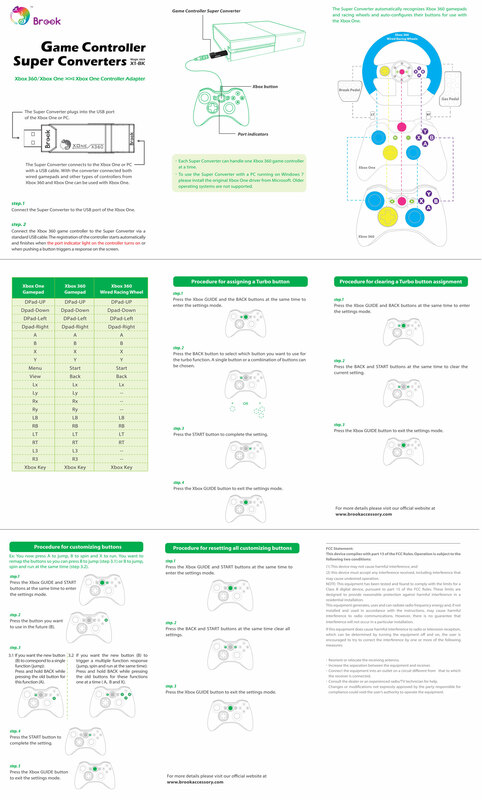 Convert Xbox 360 controllers for use on the XboxOne system! 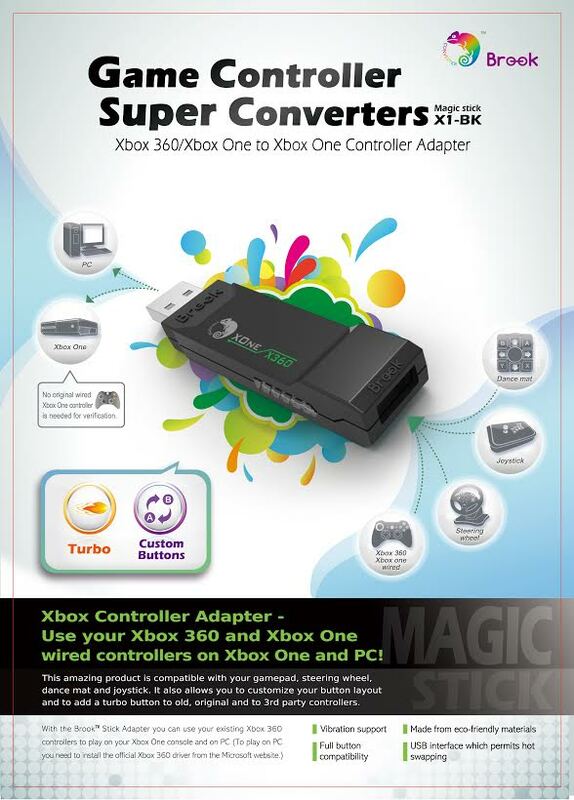 Unlike eariler devices like the chronos Max and recent Titan adapters the brook adapters focus on giving you LAG FREE support for multiple system acessories on the XboxOne Consl! 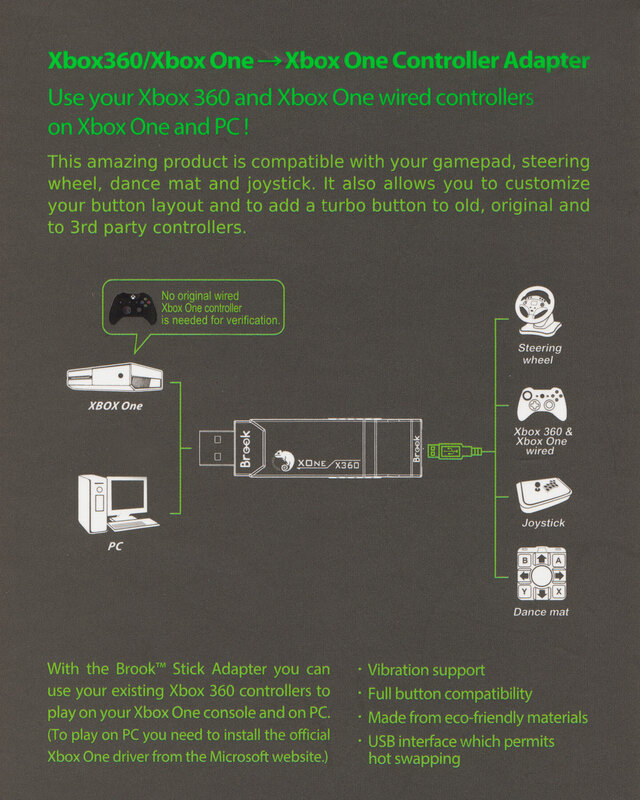 Use Madcatz, Qanba, Hori, Sony, PDP branded product on your xbox one system! Works with arcade sticks, fight pads, custom controllers, offcicial wired controllers. Works in all games, HALO 5, Street Fighter, Killer Instinct, Mortal Kombat! !